These classic sauces, like the hollandaise sauce, Normandy sauce, Bercy sauce and others, can be served with fish and seafood dishes, including pan-seared sea scallops, sautéed tilapia, grilled salmon and more. 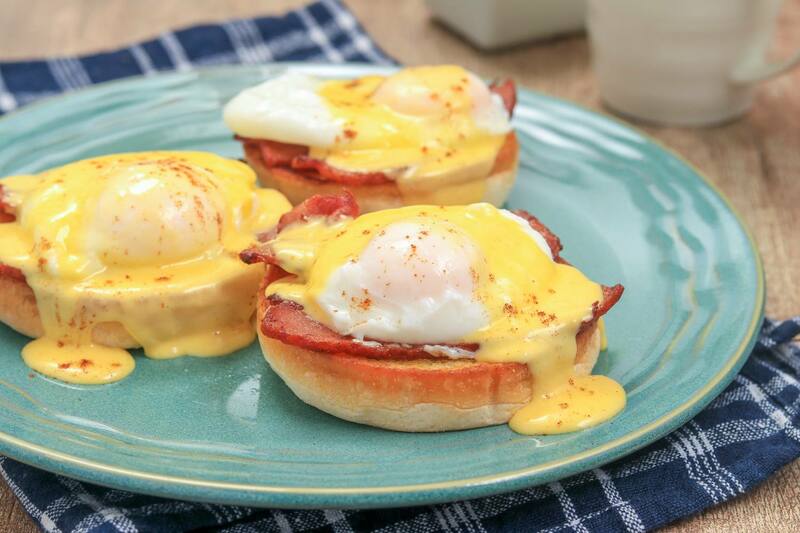 Hollandaise is a wonderfully rich, lemony and buttery sauce that goes with all kinds of poached and grilled fish dishes as well as eggs and vegetables. It's a classic sauce, but you don't need to be a master chef to make it. The Bercy sauce, named after a district in the east of Paris, is a finished sauce for fish and seafood dishes. It's made by reducing white wine and chopped shallots and then simmering in a basic fish velouté. The Normandy sauce is a classical sauce for fish and seafood made by flavoring a fish velouté with chopped mushrooms and then thickening it with a mixture of egg yolks and heavy cream called a liaison. Using a liaison involves combining the eggs and cream, adding a small amount of the hot velouté to temper it, and then whisking the whole mixture back into the sauce. This prevents the eggs in the liaison from curdling. The white wine sauce is one of the most basic sauces for fish and seafood dishes. It's also the base from which a number of other classical sauces are built—such as the herb sauce, the shrimp sauce or the Venetian sauce, which features tarragon vinegar much like the traditional bearnaise sauce, along with chopped chervil and shallots. This creamy mushroom seafood sauce is an example of how the basic white wine sauce above can be easily transformed into something a little more complex. This version of the mushroom sauce is made by adding sautéed mushrooms to a basic white wine sauce. This simple, creamy herb sauce is made by adding fresh parsley, chives, and tarragon to a basic white wine sauce. If you don't have those exact herbs, use whatever herbs you do have as long as they're fresh, not dried. Try to stick with soft-leafed herbs, as opposed to woody ones like rosemary. Do You Know Your Aubergines From Eggplants? What Can I Substitute for Buttermilk in Recipes? What Can I Substitute for Plums?